The concert hall will be surrounded by a lotus pond and lush greenery. The building’s translucent facade will bear likeness to draped fabric that gently lifts upwards at the entrances. Natural light pours into the building through the translucent white curtain wall, which also makes the building look as if it is glowing at night. The curvaceous interior will comprise a 1,600-seat main concert hall, 400-seat rehearsal hall, a professional recording studio, library, collection gallery, offices, and rehearsal rooms. 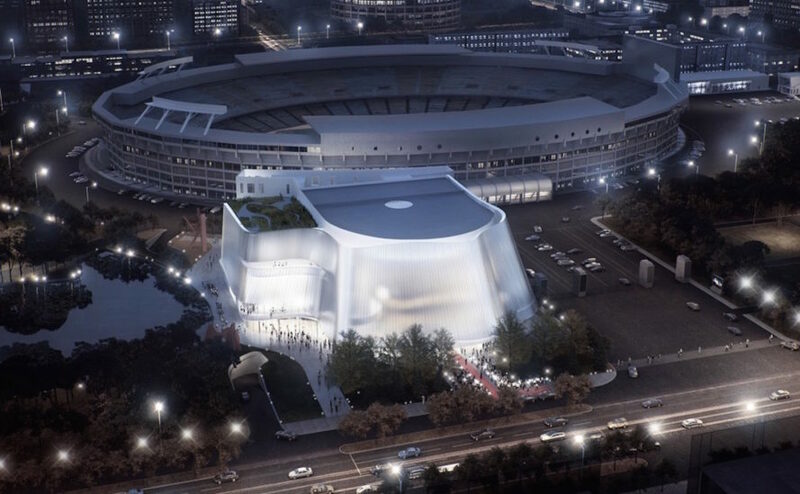 The China Philharmonic Hall will begin construction later this year with an expected completion date in 2019. 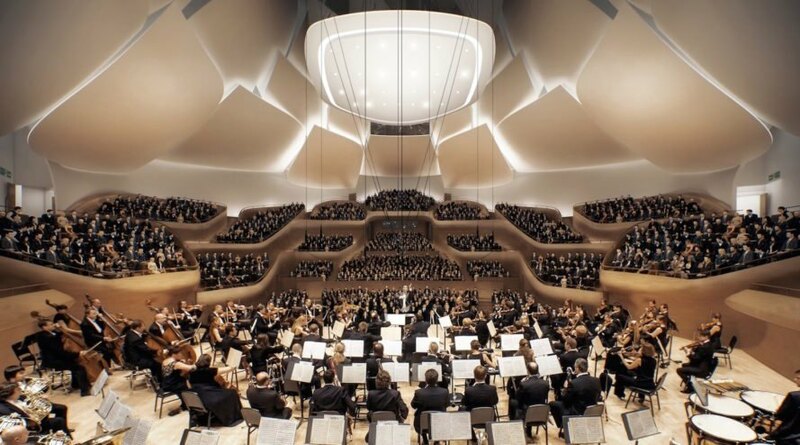 Located at the south side of the Workers Stadium East Gate in Beijing’s Central Business District, the China Philharmonic Hall will cover an 11,600-square-meter site with a total floor area of 26,578 square meters. The building is envisioned as a “hidden gem” of Beijing and a place for peaceful respite in the city. The concert hall will be surrounded by a lotus pond and lush greenery. The building’s translucent facade will bear likeness to draped fabric that gently lifts upwards at the entrances. Natural light pours into the building through the translucent white curtain wall, which also makes the building look as if it is glowing at night. The curvaceous interior will comprise a 1,600-seat main concert hall, 400-seat rehearsal hall, a professional recording studio, library, collection gallery, offices, and rehearsal rooms. The China Philharmonic Hall will begin construction later this year with an expected completion date in 2019.